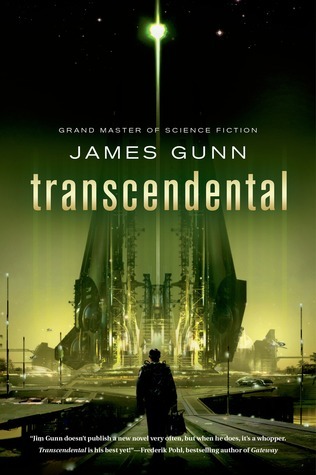 Transcendental, an epic, high-concept space opera, is a Canterbury Tales of the far future in which beings from many planets hurtle across the universe to uncover the secrets of the legend of Transcendentalism. Riley, a veteran of interstellar war, however, is not journeying to achieve transcendence, a vague mystical concept that has drawn everyone else on the ship to this journey into the unknown at the far edge of the galaxy. His mission is to find and kill the prophet who is reputed to help others transcend. As the ship speeds through space, the voyage is marred by violence and betrayal, making it clear that Riley is not the only one of the ship’s passengers who is not the spiritual seeker they all claim to be. As tensions rise, Riley realizes that the ship’s journey is less like the Canterbury Tales and more like a harrowing, deadly voyage on a ship of fools. Looking for allies, he becomes friendly with a mysterious passenger named Asha, who, like so many others on the ship, is more than she appears. But while she professes to be just another pilgrim, he comes to realize that like him, she is keeping secrets could be the key to Riley’s assignment, or might make him question everything he thought he knew about Transcendentalism and his mission to stop it. I had a bit of an up and down experience with this book. After the first few chapters I was groaning about how bad this book was going to be and dreading reading the rest. It then started to impress me with its ability to combine Canterbury Tales with Darwinian evolution, and well to be frank...aliens. I will say though that the writing style wasn't really up my alley, and I thought the premise of the concepts and overall plot needed to be explained a bit more. I felt as though I was thrown into a tale that I had to draw a fair amount of conclusions myself, in order to comprehend what was going on. Also I could have used a bit more substance, the ending was very abrupt and very melodramatic. It left a fair amount to be desired, especially given that there was a large amount of promise. The majority of the book was a drawn out "whodunit" with a lacklustre ending and really could have used something more.